UPDATE: A Special Council Meeting is being held August 16th @ 1:30 at the Port Cunnington Marina. It is an opportunity for the proponent to present the plans to Council and answer questions that Council or members of the public may have. The consortium that owns the Port Cunnington Marina property is wishing to double the parking at the marina property from 30 to 59 and near double the number of slips at the marina from 34 to 57. They are requesting the necessary planning approvals from Council. Our understanding is that the intent is the parking spaces would be sold to individuals. Therefore an easement over the public road that can be registered on title is needed; this requires consent from Council. Additionally, the marina expansion/development exceeds that permitted under the Development Permit By-law, therefore a by-law amendment is required. 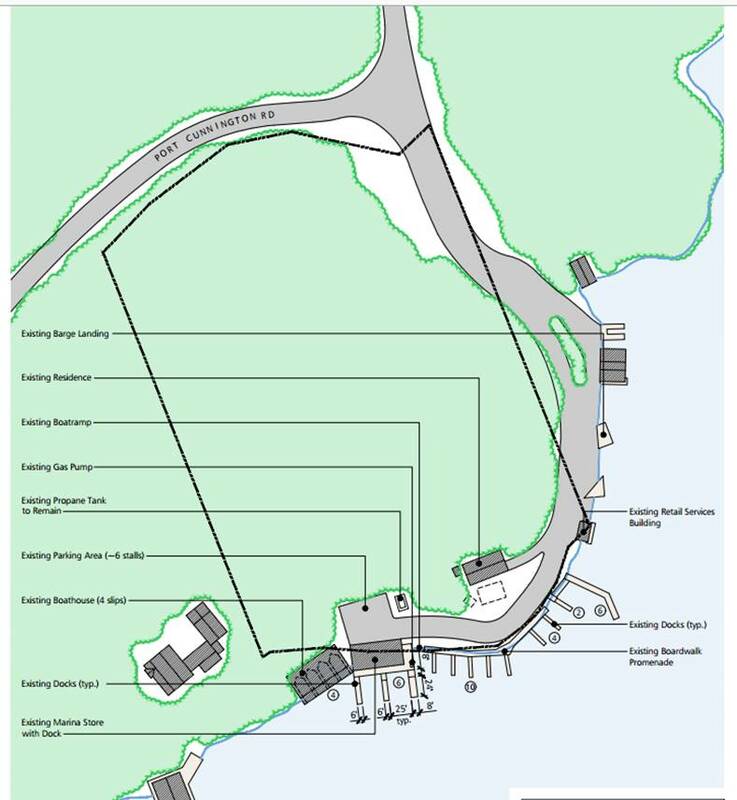 For those that considered the expanded hours for use of the public access point a concern relative to the increased traffic it would bring and threat to your safe and peaceful enjoyment of Port Cunnington Road, you may be very concerned about this proposed development. While it is acknowledged that all businesses must grow to remain viable, doubling capacity at an already problematic location and permitting development above and beyond that allowed through existing by-laws is concerning. 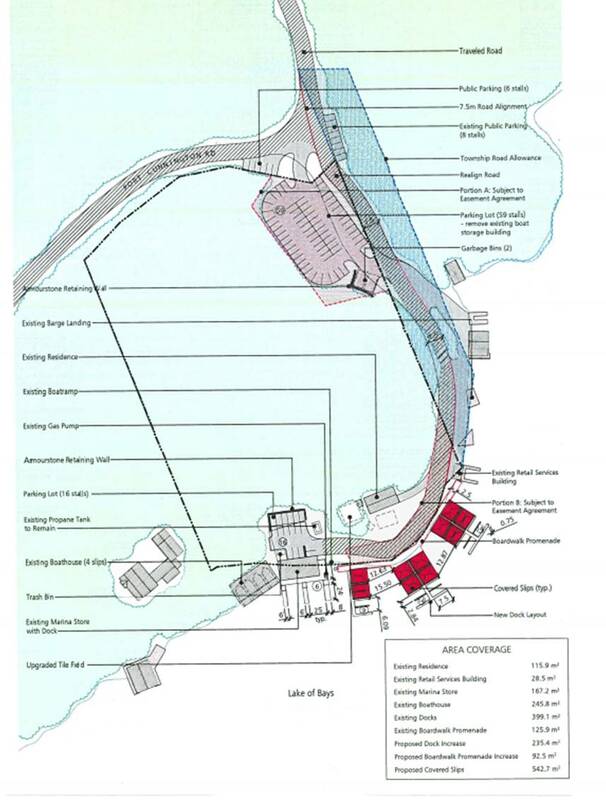 Increased boat traffic where the public access point is used by up sometimes up to 5 Commercial barges; three private marine/marinas and a retail space. The Township Council held a public meeting on July 12th at 9:00 am to consider the proposed consent application for the easement as well as the proposed by-law amendment. At that meeting the Council direction was to defer a decision on the application with the application returning to Council Sept 13th. It will be important that Council hears from all residents who live and play along Port Cunnington Road or access their cottage from Port Cunnington Road – but it will really make an impression upon council if we show up at the meetings. To date, Council and the Mayor have dismissed previous concerns raised regarding safety along Port Cunningtion Road and the hazards caused by commercial traffic headed to the public access point. Community concerns about the extended hours of commercial use have been rudely rebuffed as those of a small and localized number of people. This is not the case. 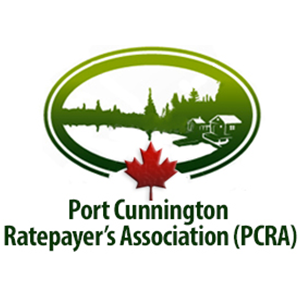 We’ve heard from many of you who live and play on the Port Cunnington pennusula and know that you share these concerns.